Casa da Tapa is embedded in the historical center of Vila Pouca de Aguiar, right in the heart of Vila Real district and Trás os Montes region. Being in the center of the North of Portugal and all its cultural and natural beauty, Vila Pouca de Aguiar is the perfect starting point for wonderful discoveries and explorations. Here you will find calm, beauty and hidden treasures in every corner. Vila Pouca de Aguiar is in the heart of the North of Portugal giving you endless exploring opportunities. Wherever you turn there’s always something interesting in the horizon. From the proximity to the buzzing city of Oporto to the historical region of Vidago, four UNESCO World Heritage regions – such as Alto Douro wine region and Prehistoric Rock Art Sites in the Côa Valley – and many more. 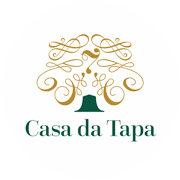 Casa da Tapa’s central location in Vila Pouca de Aguiar allows you to pick daily a new area to explore in Portugal’s beautiful Northern region. Plenty to see and do in Vila Pouca de Aguiar. From its food and people to its history and nature the region has plenty to offer and explore. On your left you’ll find a video promoting the region. Please check our “Places to Visit” and “Sports & Outdoor Activities” pages for detailed info. Vila Pouca de Aguiar is characterized by its ancestral traditions with traces of those who have settled here since prehistory and a natural environment that invites nature activities. With a rich and relevant cultural, historical and scenic heritage, Vila Pouca de Aguiar is home to unique landscapes and features. It is a land of water (in Pedras Salgadas there is a spring known to many as the best natural sparkling water in the world), stone (with important reserves of certified granites and very old schist); and gold mines (Tresminas and Jales mines).